Aeroflot has announced it has taken delivery of two factory-new Airbus A320 narrow-bodies. The aircraft are equipped with Airbus’s signature “sharklet” winglets. Each aircraft has 158 seats in a two-class configuration—8 in business class and 150 in economy. The aircraft have tail numbers VP-BEO and VP-BET. According to open sources, the former is leased from the State Transport Leasing Company (GTLK). Both will be operated on routes within Russia and to European destinations. Counting these two aircraft, Aeroflot has received a total of four new A320s so far this year, and has plans to receive five more. At the same time, four older aircraft of the type will be phased out. 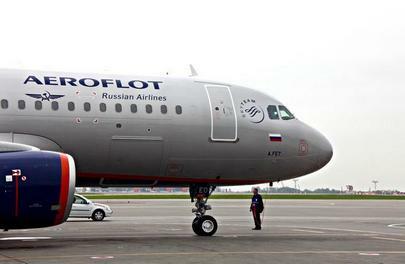 Three A320s with the smallest capacity will be transferred to Aeroflot’s subsidiary, Rossiya. Along with that, in 2016 Aeroflot will continue to expand its fleet of Boeing 737s. It has also received a Boeing 777-300ER, and its program of Sukhoi Superjet 100 fleet expansion is underway. The fleet expansion plans have been revised. Initially, Russia’s largest carrier scheduled to take delivery of 21 A320 and 12 A321s within 2017 and 2018, but now, 10 and 6 aircraft, respectively, have been rescheduled for later delivery in 2019-2020. Delivery of seven Boeing 737s has also been postponed to later dates. At present, Aeroflot operates some 170 aircraft. Besides the types already mentioned, it has several A330s in its fleet.